Ever wonder if using accounting apps could make running your business’ finances easier? People are quick to sing the praises of a new piece of software, especially when it fills some niche requirement for their business. The only problem with accounting apps is that there’s so many of them! That’s why the team at Amplify has written this blog—to break down the top 4 accounting software apps for small businesses in Canada. In the world of accounting software, QuickBooks is probably the best known solution. QuickBooks provides an easy tool for managing invoices, bookkeeping, billing, paying employees and more. There’s no doubt that the switch to online has been a game changer for them! The new version of QuickBooks Online aligns with the earlier desktop edition, making it easy to convert from one to the other. In addition, the ability to use the QuickBooks app on your mobile device makes it simple to manage your finances on the road or at home. QuickBooks also integrates seamlessly with many other apps, a few of which we’ll mention below. Overall, the team at Intuit has done a great job at developing QuickBooks and that’s why it’s one of our top recommendations. Watch the video teaser to learn about its new mobile functionality! Xero Accounting Software is very similar to QuickBooks in many ways. In both apps, your accountant can login directly to your profile and get access remotely. The app provides a tool for managing invoice, payments, billing and so on, also providing online and mobile versions. The team at Amplify is partner with both platforms, which are currently competing industry leaders. What differentiates Xero from QuickBooks is mainly the user interface. For Xero, we’ve found that the user interface is more friendly toward the average user, whereas QuickBooks tends to be aimed at users with more experience. The app integration is also slightly different, so if you’re looking to use a specific app then it’s best to check before you decide which app to use! 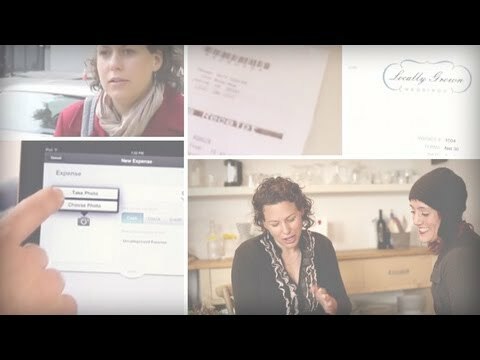 Check out this next video to learn how Xero can help your small business. Receipt Bank is a way to take the data entry component out of bookkeeping. Receipt Bank’s accounting software finds the relevant data in invoices, bills and receipts and converts the information into a downloadable format. This app also integrates with both Xero and QuickBooks, making it easy to move it from one app to the other. Receipt Bank gets a leg up in this category due to how it handles HST. If you’d like help implementing any of these software programs in your business, contact the accounting and bookkeeping team at Amplify for help! We’d be happy to help you simplify your business. I would like to share my business experiences here. Apart from this tools a lot of real-time alternatives are available. My business accounts in and out manage through Apptivo, I can handle whole accounts in a single portal. It is ease of use and affordable for small business. 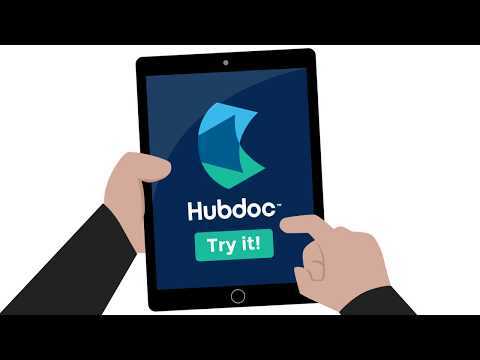 Well, I had some knowledge about quickbooks online and xero accounting software but genuinely I did not have any knowledge about receipt bank and hubdoc. I earned some knowledge about these two after going through your blog. So, I really want to say thank you for sharing such an useful information with us. But whatever may be the accounting service, here in the following I want to mention some of the common reasons to use online accounting services. 1)It is flexible, that means it can be operated at any time over any location from any device. 2)It is less time consuming. 3)It provides result with greater accuracy. 4)It is cost effective and easy to operate. Etc..